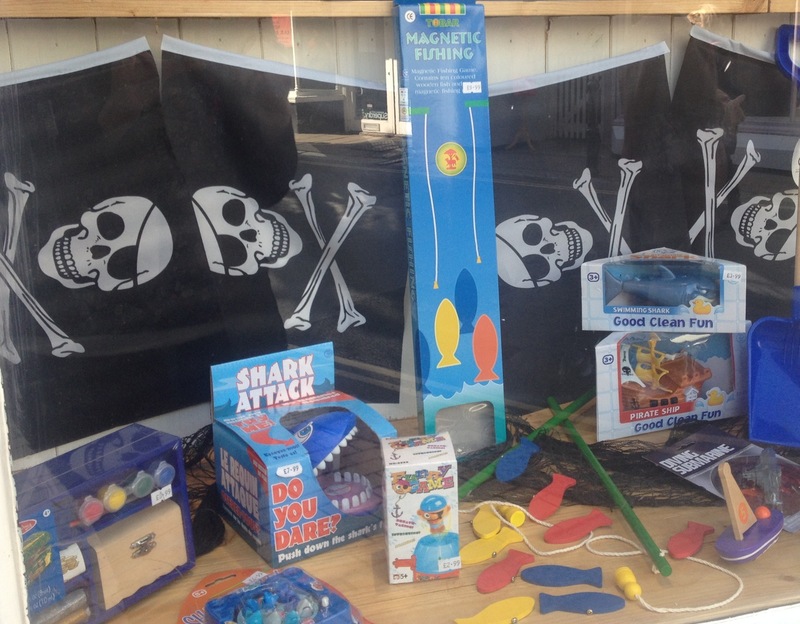 Magnetic Fishing Game and Wooden Spade would make great fun for the day out. The Decorate Your Own Pirate Chest is great for keeping all your little treasures safe in your personally designed special box. In the picture below you can see somethings essential for Pirate themed birthday parties such as our Pirate Telescope. Emily's also customised our Pirate Flags to look like bunting, which would be perfect for decoration. My favourite thing in the window has to be the Sailor Rag Doll, which is from our new collection of rag dolls. I know I would have loved this as a little girl and probably want to take it with me everywhere i went! 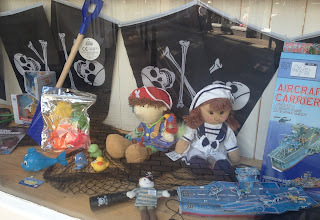 I also need to point out our new Small Pirate Rag Doll with a rattle inside, which is suitable for children from birth. Personalise your very own Pirate Door Plaque so everyone knows who is Captain of the ship! The colourful wooden set of two jolly Pirate Bookends are suitable for guarding young pirates' books and a perfect addition to any child's bedroom, nursery or playroom. 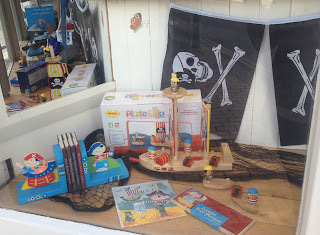 To go with our Pirate themed window, we have a good old treasure hunt in our Totnes shop on Saturday 1st June. 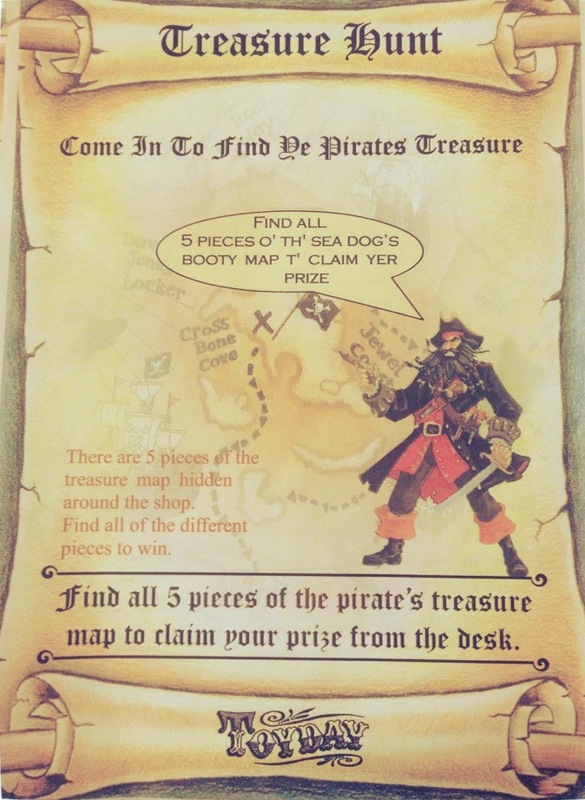 Just pop in to the shop and have a look around for the 5 pieces of the map. Once you've found them all then bring them to the desk to claim your prize! Could You Be The Next YoYo World Champion? How To Play ZILTCH - The Ultimate Dice Game!